Aloe Vera Smoothie With More Than 200 Active Enzymes! This Aloe Vera Smoothie Is a Natural Anti-Inflammatory With Over 200 Active Enzymes! Aloe vera has an intimidating appearance, but it is full of beneficial nutrients – containing at least 20 minerals, 12 vitamins, 18 amino acids, and 200 active enzymes. Often used topically as a natural anti-inflammatory, aloe vera is also safe to ingest and can boost your body’s collagen production. Here’s a quick, easy and affordable recipe for an all-natural aloe vera smoothie that not only tastes great, but is great for you as well. Using a small, sharp knife, skin the spikes off both sides of the leaf, then cut the leaf in half. Cut the top part of the skin off so you can see the gel inside, then turn the leaf over and cut the other side of the leaf off as well, exposing the clear aloe vera gel inside. Dice the gel up into chunks, then blend it with the rest of the ingredients in a food processor. Drink it immediately; this smoothie is a great morning beverage, best enjoyed on an empty stomach. You can also prep more than one leaf at once and store them in a sealed glass jar in the fridge; fresh aloe vera, stored this way, will remain fresh for about a week. While aloe vera is widely known for its use as a topical anti-inflammatory – it can be used to treat sunburns and itchy bug bites – it’s also great for you when ingested, especially fresh like this. Aloe vera is a great natural source for antioxidants, which slow the aging process and can help neutralize free radicals in the body(1). 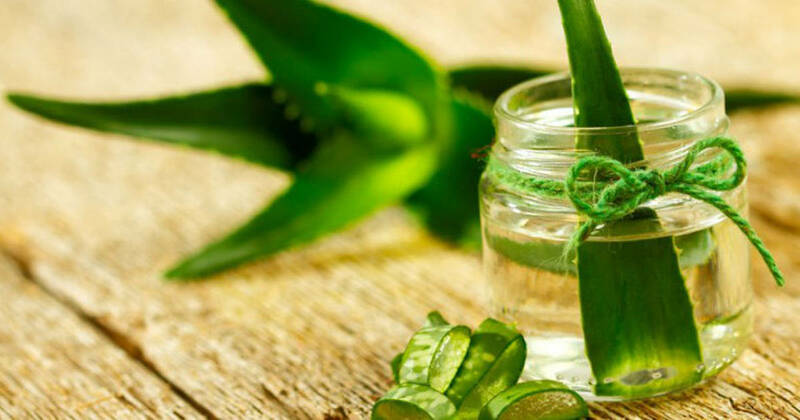 Aloe vera has the distinction of being one of the few herbal remedies widely used in Western medicine, with the manufacturing of aloe vera extracts being one of the largest botanical industries in the world. It’s also a mild laxative, which can help ease constipation and assist your body’s natural detoxing processes(2). Although fresh aloe vera can be difficult to find, many supermarkets are stocking as it has become more popular in recent years. You can also find it at health food stores. So pick up a bundle of this spiky green plant the next time you’re out grocery shopping and treat yourself to a tasty and super-healthy smoothie to support your body’s detox systems and slow the aging process – you’ll be glad you did. 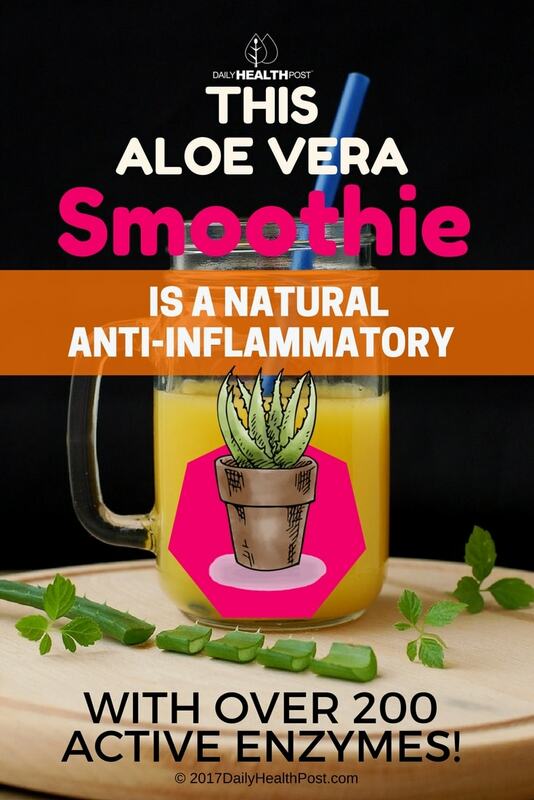 Latest Headlines » Inflammation » This Aloe Vera Smoothie Is a Natural Anti-Inflammatory With Over 200 Active Enzymes!